The inspiration for my art imagery is the unparalleled beauty and rugged terrain of British Columbia. Mountain spires draped in deep snow and glaciers. Valleys that are squeezed between majestic mountains and ribboned throughout are hiking trails and climbing routes. 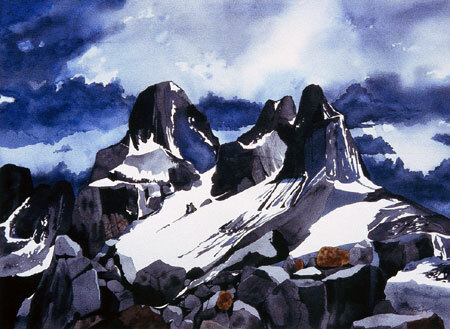 These access the peaks and gladed valleys that I use to gain the unique vistas and vantage points seen in my watercolour paintings.